Everyone knows the truth. Driving under the influence of alcohol can be expensive and sometimes fatal. In California, thousands of residents and visitors are injured or killed each year as a result of drunk driving, and hundreds more are charged with DUI. A good DUI attorney knows that good people mistakes and believes that everyone deserves the best defense possible without regard to circumstances. 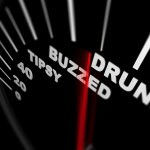 If you’re charged with DUI anywhere in southern California, get the legal help you need at once. Speak with an experienced Orange County DUI defense attorney immediately. Recent technological advances are now helping to ensure that drivers are sober behind the wheel. Apple isn’t the first company to produce a do-it-yourself alcohol measurement device. Other devices such as Sobercheck and Alcoguard provide drivers with additional tools, but it’s vital to remember that these apps are not guaranteed; if you are not sure about your ability to drive safely, don’t drive at all. Designated driver companies and nonprofit groups in southern California and around the country are working to ensure that you get home safely by providing designated drivers on demand. For example, BeMyDD “drives your car so you don’t have to” and offers two options. The first option allows you to have a designated driver take you to your destination in your car and then drive you back. The second option allows you to call for a driver after you’ve had too much to drink. Two drivers will arrive at your location, one will drive you home in your car and the other team member will follow. With so many tech advances now available and so many offering to serve as designated drivers, there’s really no reason to be charged with DUI in southern California, but when it happens, get the legal help you need and speak immediately with an experienced Orange County DUI defense attorney.